Everyone has a slightly different mental map of the West Village, but we situate the neighborhood west of Sixth Avenue, north of Houston, and south of the Meatpacking District. It’s big on charm, intersections that defy numerical logic, and sidewalk-café brunch, and home to some of the city’s best-known (deservedly or not) culinary attractions, like John’s Pizza and Magnolia Bakery. Wander the tree-lined, cobblestone streets and you will find way too much middling Italian food, and even a couple of extant ye olde inns (Waverly and Beatrice), mutated into clubby scene spots their original clientele would never recognize. 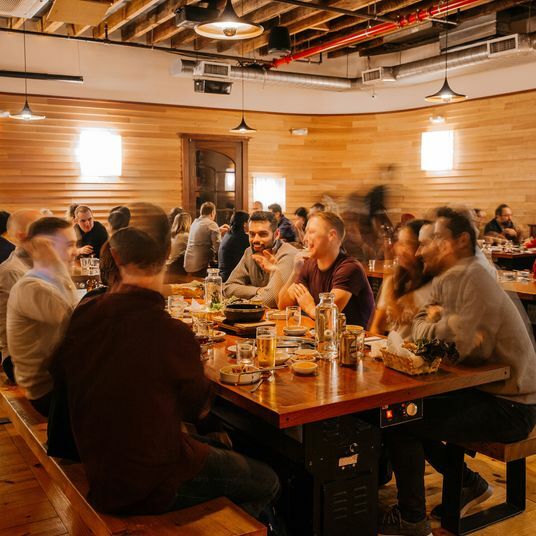 But beyond the glitz and the tour buses, the neighborhood’s real gems (both high and low) share some ineffable but compelling combination of distinctive personality and local flavor, and range from a legacy slice joint to a destination gastropub. It isn’t the unapologetically traditional menu that vaults I Sodi to the top of this list, or its spare, classic design. It’s not the six riffs on the Negroni cocktail, or the deep Italian wine list, or the civilized, civilizing mood of the room, which is convivial but never cacophonous. It isn’t even the signature lasagna, which you’ll see some nights at every other place setting — a tall, 20-odd-layer construction of crisp-edged sheets melded together into a supple, jiggly mass. It is all of those things combined, filtered through the singular vision of Rita Sodi, a self-taught chef who opened the place as an extension of her own home table and a tribute to her mother’s country-Tuscan cooking. On paper, the food seems generic — a grilled strip steak, fried chicken, branzino. But everything is carefully cooked, restrainedly seasoned, and tasting precisely of what it is, down to the soft-bordering-on-mushy (in proper Italian fashion) spinach and peas. 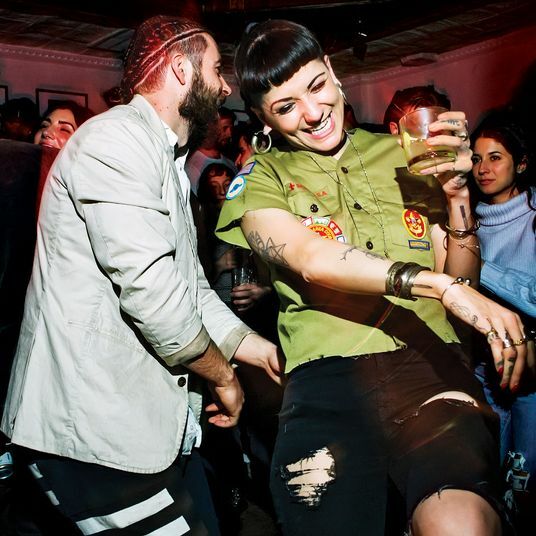 The bar is always full, but the place never feels overrun, and though the occasional celebrity has been known to frequent it, so do locals who are happy to keep it to themselves. 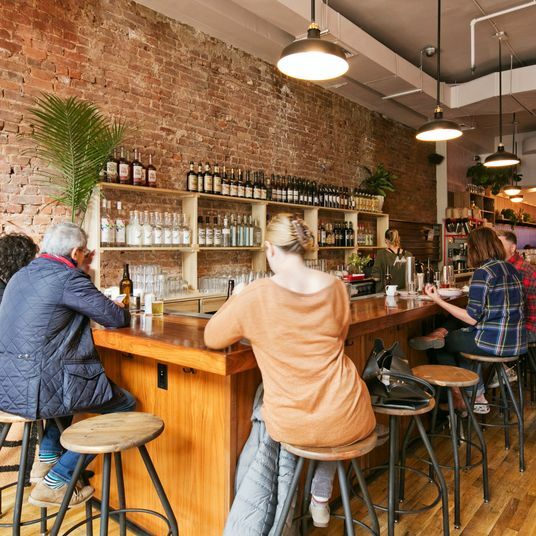 It’s the perfect neighborhood restaurant, the perfect meet-the-parents restaurant, the perfect restaurant to drop into for a plate of salumi and cheese at the bar. In other words, the perfect restaurant, period, in the West Village or anywhere else. Buvette is open 18 hours a day, and people are lined up outside for most of them. That is because Jody Williams’s self-titled “gastrothèque” is not just ridiculously charming, but it also manages to hit the spot on any number of meal-period and appetite-specific levels, from steam-scrambled eggs for breakfast to a 1 a.m. croque monsieur. A common denominator on the small-plate menu is richness, a quality that extends even to the vegetables and salads. (It’s one thing to make aligot potatoes and chocolate mousse craveable; try that with carrots and beets.) Much of what you eat at Buvette is delicious things you put on bread (anchovies and butter, a signature combo) and delicious things you dip bread into (a crock of creamy mustard sauce in which assorted rabbit parts are submerged). With every detail just so — the illustrated almanac-style drinks book; the cocktail glasses chilling on the marble bar; the bistro-aproned, neck-tied servers who could conduct a master class on the art of sprezzatura — the place might feel art-directed, but the effect is transporting. The Roquefort burger is April Bloomfield’s most popular dish and the sandwich that launched a bicoastal restaurant empire. But there’s lots more to recommend about New York’s first gastropub, as Bloomfield and her partner Ken Friedman described the bar when it opened in 2004. There’s sheep’s-milk-ricotta gnudi, first of all, pillowy spheres doused in butter and dotted with fried sage; unexpectedly satisfying salads and vegetables, which never stint on nuts, cheese, and good olive oil; and bar snacks like roll mops and devils on horseback, the kind of salty morsels meant to make you thirsty for pints of cask-conditioned ale. The stools aren’t built for comfort, and the place has become a tourist attraction. But even with success, the Pig hasn’t lost its soul (or its cool). It’s an odd origin story: New York impresario born into a Bronx-restaurant family watches Jiro Dreams of Sushi, has epiphany, recruits maestro’s onetime apprentice to run elegant sushi bar on quiet West Village block. 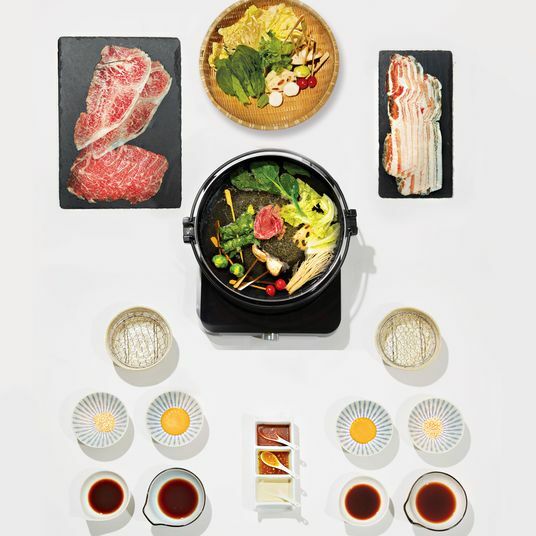 That’s how Daisuke Nakazawa came to work for Alessandro Borgognone, along the way creating what he calls “New York–style” sushi, a looser, more innovative approach to the edo-mae tradition in which he was trained. 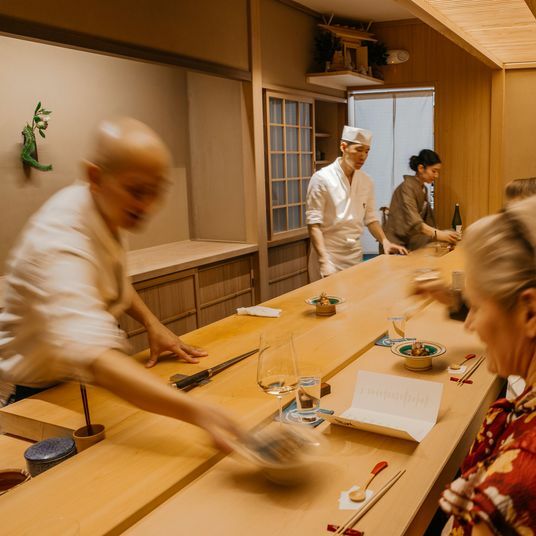 Now Nakazawa holds forth behind the ten-seat counter, mesmerizing guests with elaborate multicourse omakase meals, but a rear dining room offers additional seating (without the show). 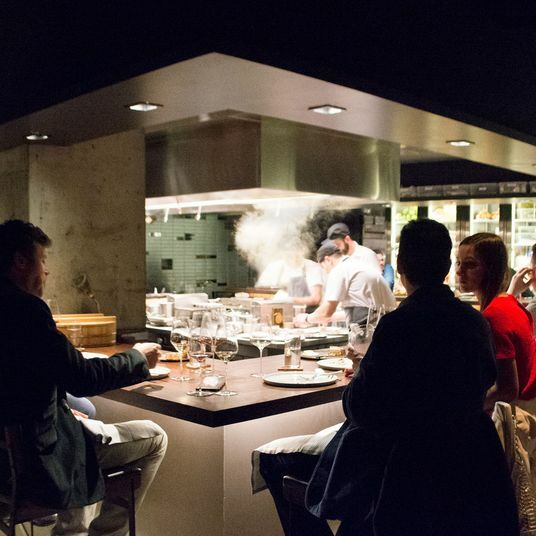 And although reservations are notoriously elusive, a recent expansion created an under-the-radar lounge, where walk-ins can find sushi transcendence by the à la carte piece. 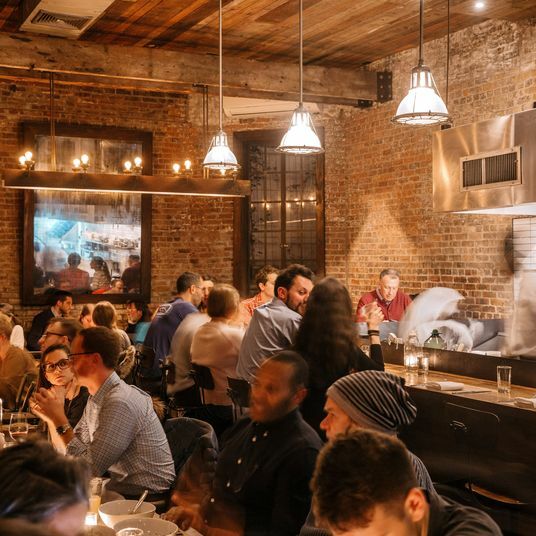 You might say that Via Carota is Buvette with pasta, but that wouldn’t be true. 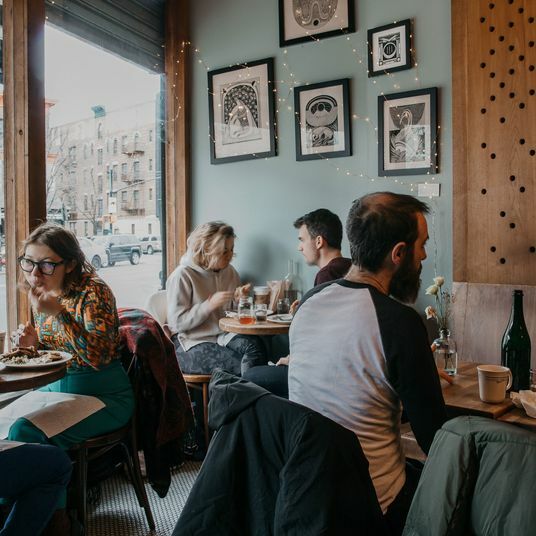 Yes, the wide storefront has more than a touch of Buvette’s rustic, antiques-strewn charm, not to mention its penchant for vegetables and good crusty bread with rich toppings. 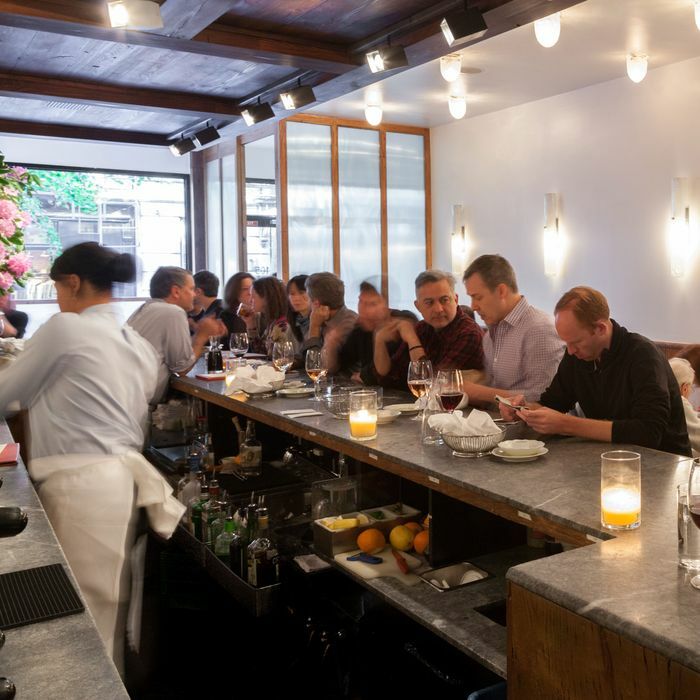 But Via Carota, a collaboration between Buvette’s Jody Williams and I Sodi’s Rita Sodi, is very much its own thing: an Italian restaurant informed by Sodi’s Tuscan upbringing and California native Williams’s years cooking in Italian kitchens, both here and abroad. That translates into an ever-changing seasonal menu, the juicy chopped-steak “svizzerina”modeled after the bunless burger Sodi’s mother used to cook for her, and, yes, pastas, from melting Gorgonzola-sauced gnocchi to a textbook tonnarelli cacio e pepe. 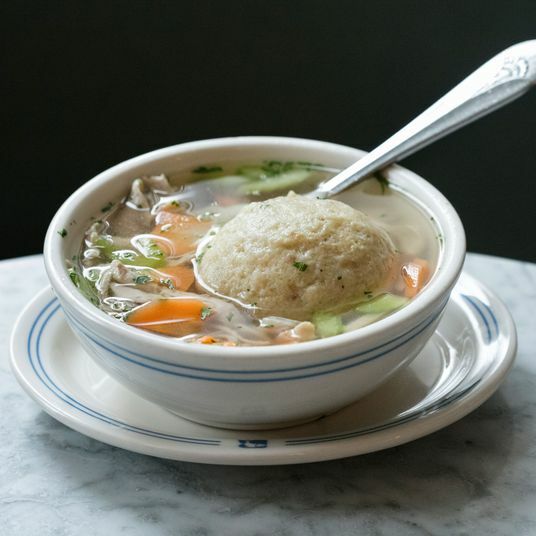 With these three thriving establishments, all unpretentious bastions of simple but satisfying food and drink, Sodi and Williams rule the West Village, culinarily speaking. 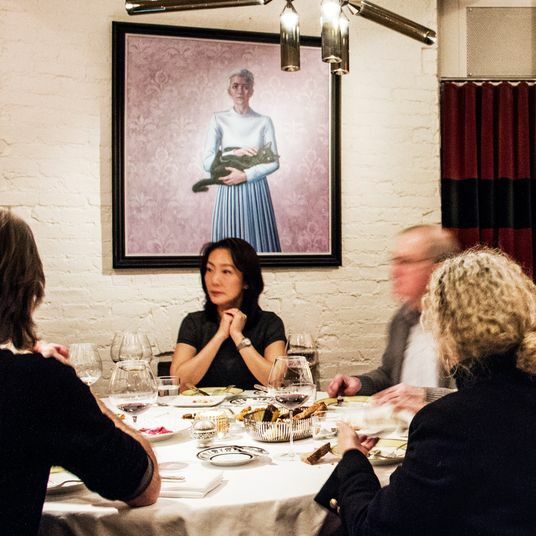 That’s chef-owner Kurt Gutenbrunner glaring down on his diners — or rather, it’s his portrait, painted by his pal Julian Schnabel. The piece contributes to the artsy, intellectual ambience of the markedly grown-up room, a cosseted foil to the rambunctious Spotted Pig up the street. People come here to dine in peace on Austrian Michelin-bait like spaetzle with rabbit, white asparagus in season, and New York’s preeminent Wiener schnitzel, properly accoutred with vinegary potato-cucumber salad and a spoonful of lingonberry jam. 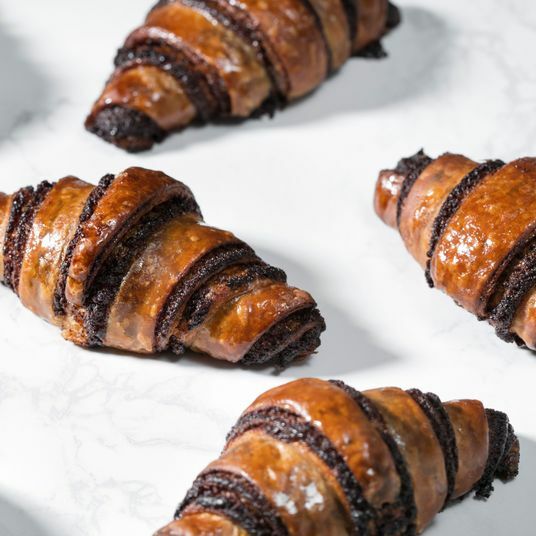 Gutenbrunner has made a cottage industry out of Viennese kaffeehaus culture at his Café Sabarsky uptown, which means you should definitely order dessert. And there may be no better place to delve into the wide world of Austrian wine grapes, from Blaufrankisch to Zierfandler. Is it a bakery masquerading as a breakfast joint disguised as a sandwich shop? 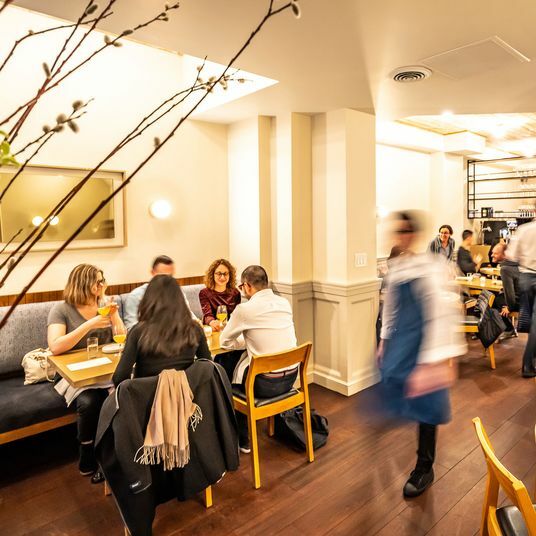 Or is it a sophisticated modern American restaurant, conversant in all the au courant culinary obsessions, from fermentation and alternative grains to domestic pét-nats? This spinoff of Philadelphia’s High Street on Market is all of the above, actually, and even manages to make the multitasking look easy. As at the original location, the various artisan breads almost steal the show, and of all the sandwiches, we’re partial to the Philly-style roast pork with fermented broccoli rabe and provolone, sharp and tangy proof that this overachieving little establishment hasn’t forgotten its roots. 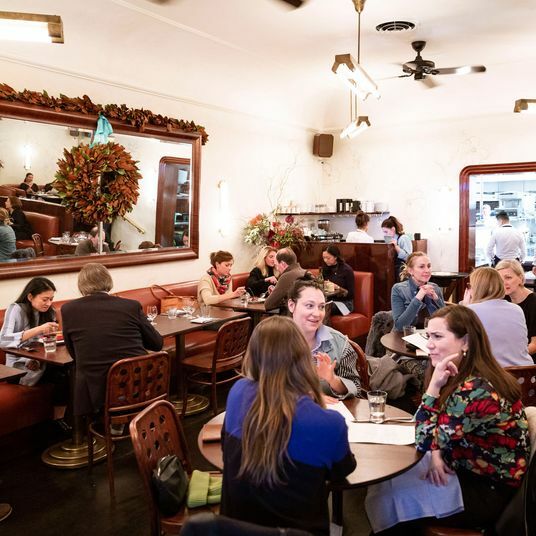 Can a tiny four-table tearoom really be one of the West Village’s best restaurants? It can — if you define the term “restaurant” loosely — when the daily menu is devised by Frederico Ribeiro, a former Per Se sous-chef with a Greenmarket obsession and a passion for the flavors and traditions of his native Portugal and neighboring Spain. 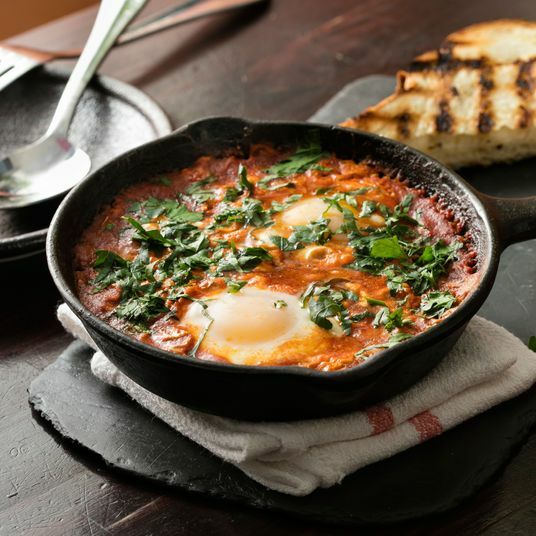 On the daily carte posted by the counter, you will almost always find tortilla de patata, a custardy marvel of confit potatoes and barely cooked egg, and, in cool weather, the bracing blast of garlic and herbs that is Portuguese bread soup. Ribeiro bakes his own crusty whole-wheat sourdough, a potent weapon in the raging fancy-toast wars that elevates any ingredient he tops it with (trout roe and kombu, recently) and also comes in handy sopping up the fragrant Spanish olive oil he splashes onto almost everything. If you’re lucky, there’s dessert: steamed chocolate cake under a cloud of mascarpone, or the vaguely illicit bacon flan. At the first sign of spring the garage doors roll up, the sun worshippers claim their sidewalk tables, and the rosé begins to flow. 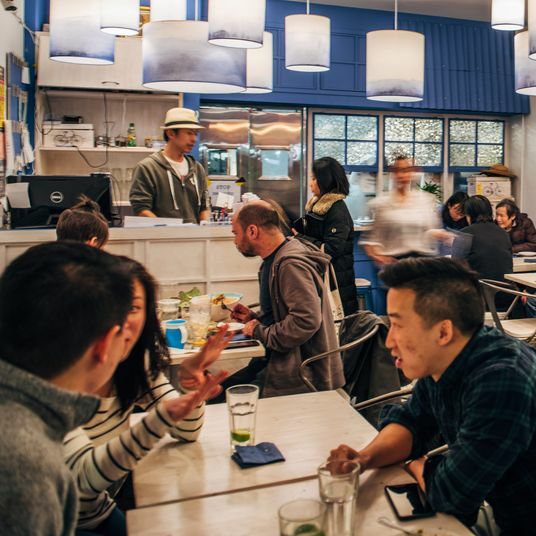 The loud, rackety space is urban industrial, but the vibe is pure Cal-Med, and so is the food. Chef-partner Jonathan Waxman was a pioneer of so-called California cuisine, the movement that begat today’s local-and-seasonal craze. 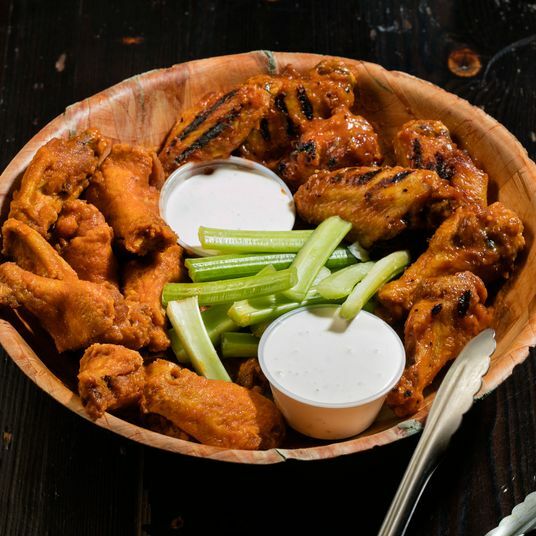 Examine restaurant menus around town and you’ll see his influence everywhere: the subtly distinctive pastas, the market-driven salads, the open kitchens and wood-fired grills (and especially the chickens you see charring on them). Waxman has consulted far and wide, but this is his spiritual-culinary home. 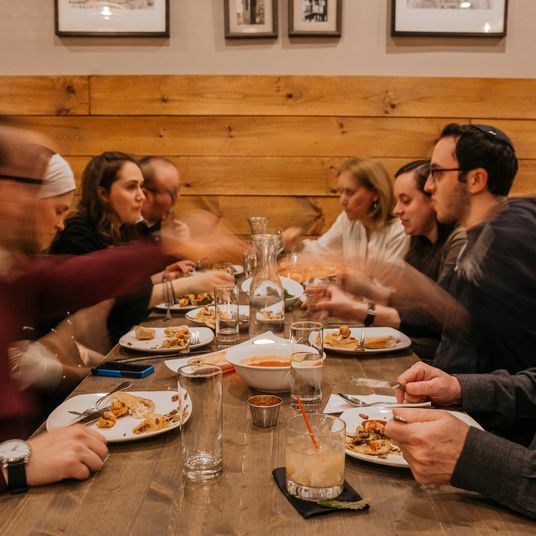 Truth be told, we’ve always been partial to the original Carroll Gardens spuntino for its rustic charm and back garden. But this bustling corner outpost has won us over with a consistent kitchen that turns out all the Frankies classics: meatballs with raisins and pine nuts, smushed inside pizza bianca; tomato-sauced potato gnocchi with just the right soft-chewy bite; red-wine-stewed prunes with mascarpone cheese. It does get louder than a kindergarten playground at recess, and the tables are tight, so we advise dining at an off hour, at the quasi-enclosed bar, or in the back corner, under the portrait of the late spuntino mascot, Merlin the French bulldog. Einat Admony cooked in lots of fancy New York restaurants before she opened her own place, a takeout falafel joint devoted to the street foods of her native Israel. 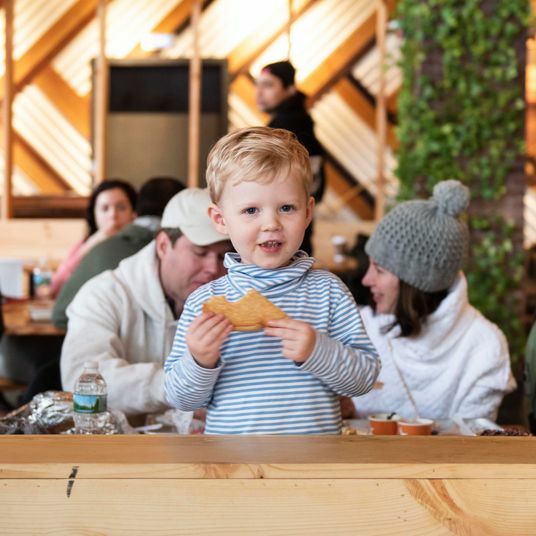 This was not only a wise career move — the store spawned a second location, a food truck, and two sit-down restaurants — but a valuable addition to the West Village foodscape. 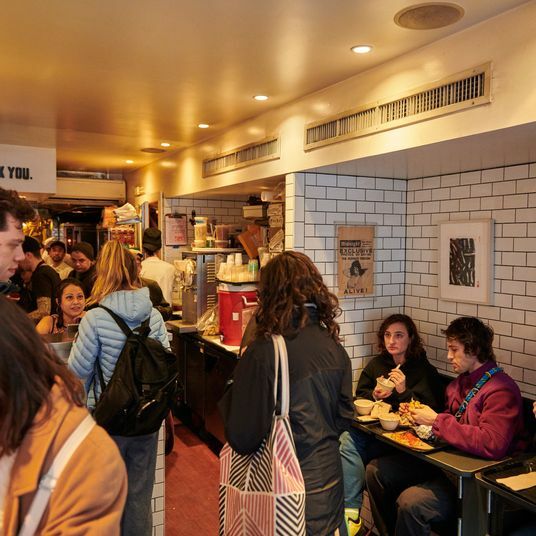 Because what neighborhood doesn’t need a bright, fast, generally healthful, incidentally vegetarian Middle Eastern canteen serving three flavors of crisp, greaseless falafel? The deep-fryer might be the engine that runs Admony’s falafel-fueled empire, but Taïm targets the cleanse crowd, too, with modern-day essentials like a quinoa-and-kale salad and a full-fledged smoothie bar. This holdout from a time when Greenwich Village teemed with Spanish restaurants is so lovingly preserved you almost expect Keith McNally or Graydon Carter to swoop in and make the landlord an offer he can’t refuse. The menu is stuck in time and steeped in garlic; if anyone in the kitchen has ever heard of Ferran Adrià you’d never know it. Still, on any crowded weekend night (and they’re all crowded) you will find early-bird locals, families and tourists, and longtime regulars who will happily tell you the precise number of years (or decades) they’ve been driving in from Jersey. Most of them will order sangría, poured from huge jugs stockpiled behind the bar, and dine on various paella permutations, spooned by servers out of steaming metal pots. Dinner comes with a forgettable side salad and white bread with foil pats of butter, and nothing you eat will be revelatory in the slightest. But you will deeply enjoy your meal and your night, despite all that — and maybe, even, because of it. This isn’t the original Joe’s, which used to occupy the corner spot a few doors down, where gourmet gelateria Grom is now. But it’s still a welcome and necessary landmark in a Village that keeps changing. The slice is classic New York–style, with everything in proper proportion. A thin, pliant crust for precision folding, just the right amount of runny cheese, and a well-cooked sauce — what else could you ask for at 4 a.m.?